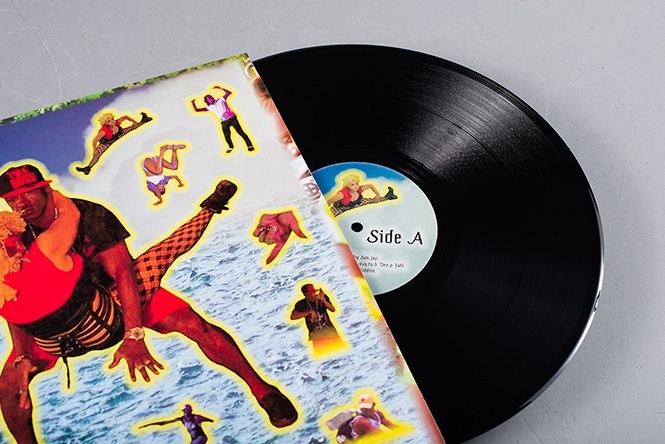 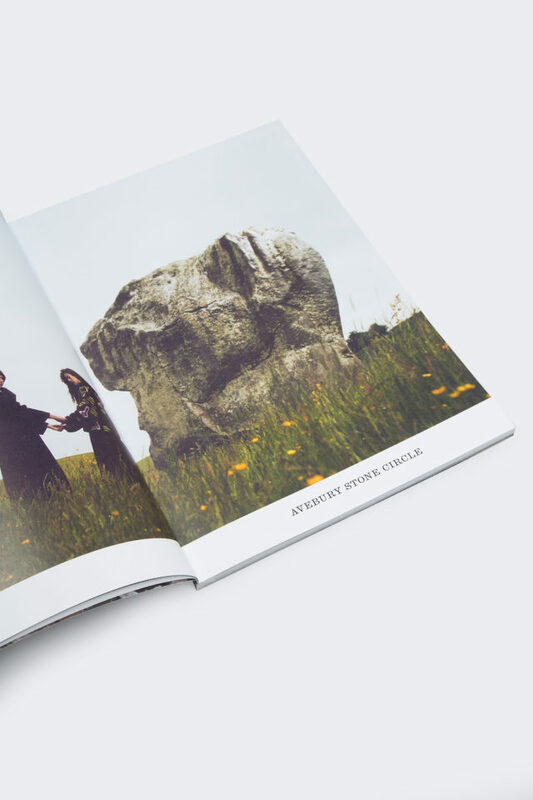 Turner Prize-winning artist Jeremy Deller, photographer David Sims and fashion brand Aries have joined forces to create a new immersive exhibition at The Store X, Jan 2019. 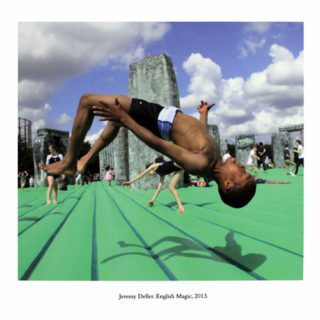 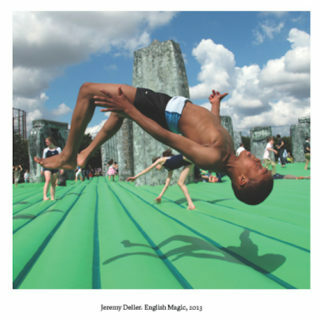 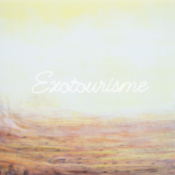 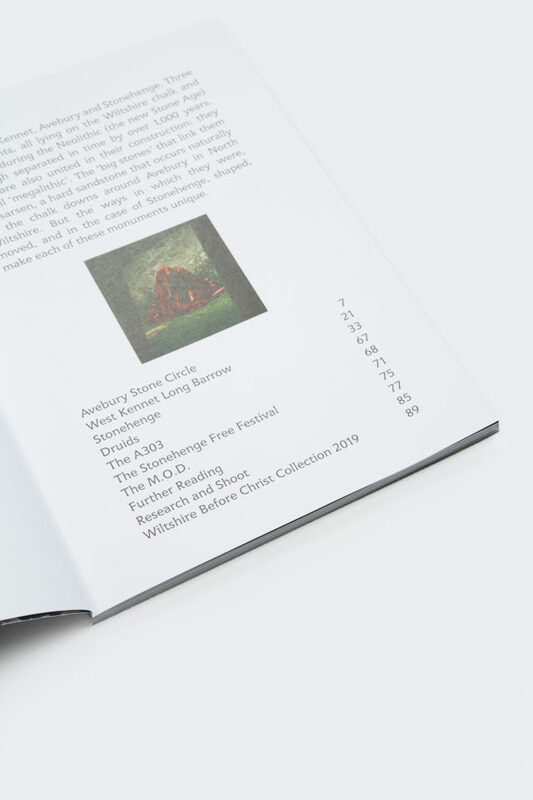 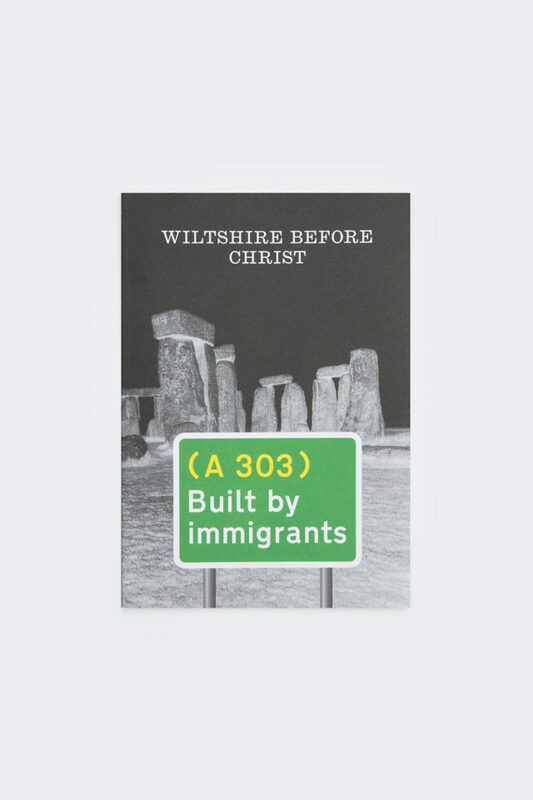 Centred around Stonehenge and shot at various Neolithic sites around the UK, Wiltshire B4 Christ explores notions of mysticism, pagan symbolism and British identity, manifested as large scale light-boxes, neon sculptures, painted murals and a new film by Jeremy Deller. 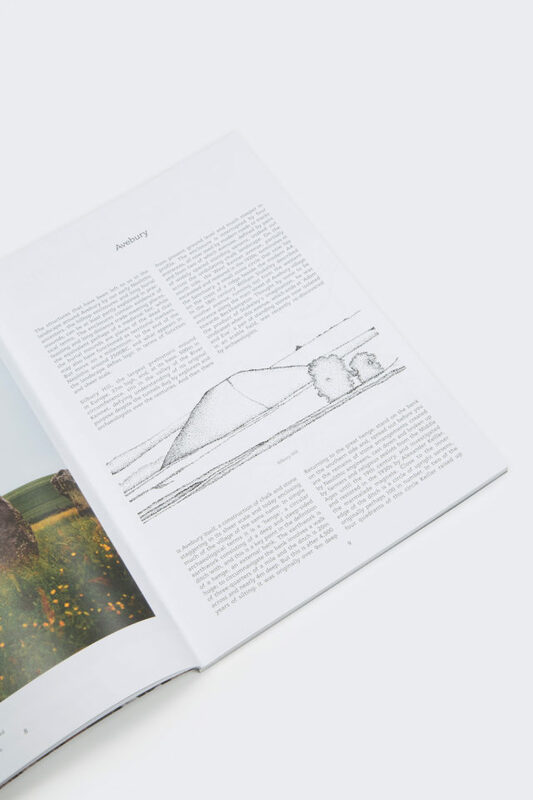 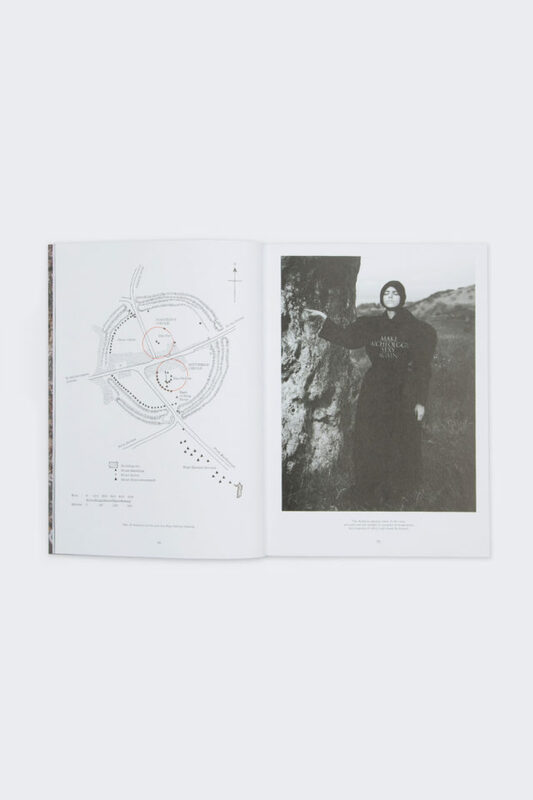 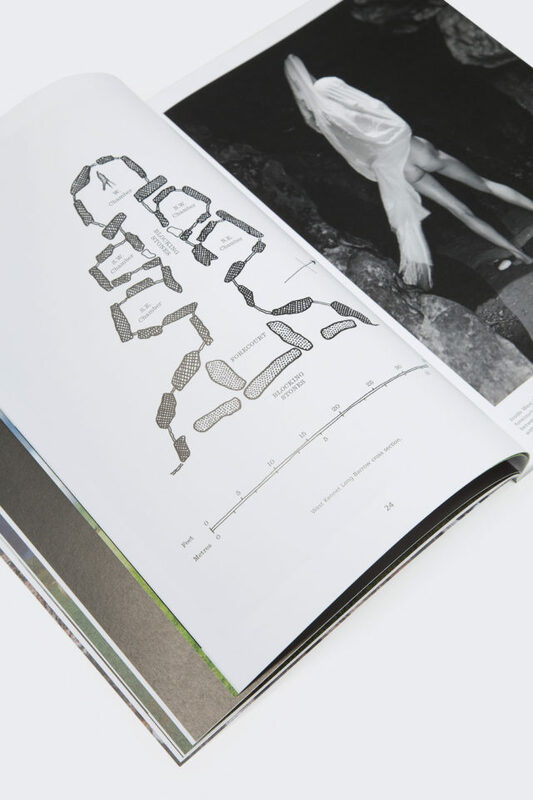 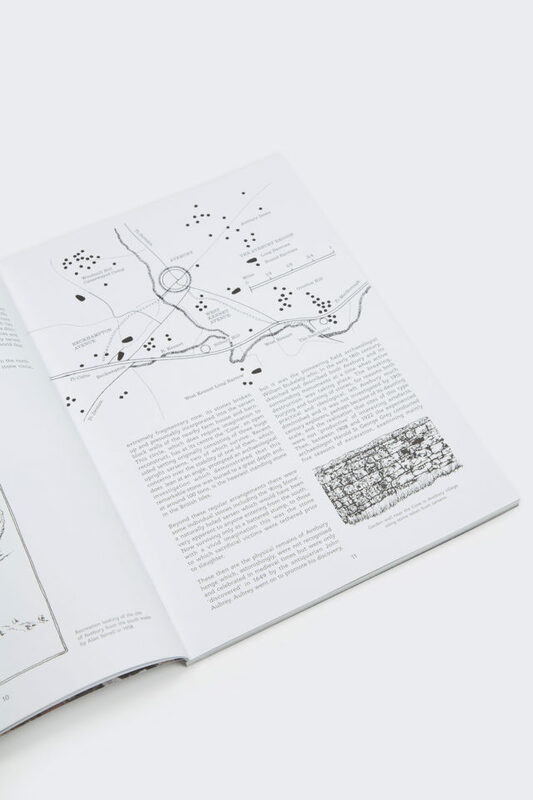 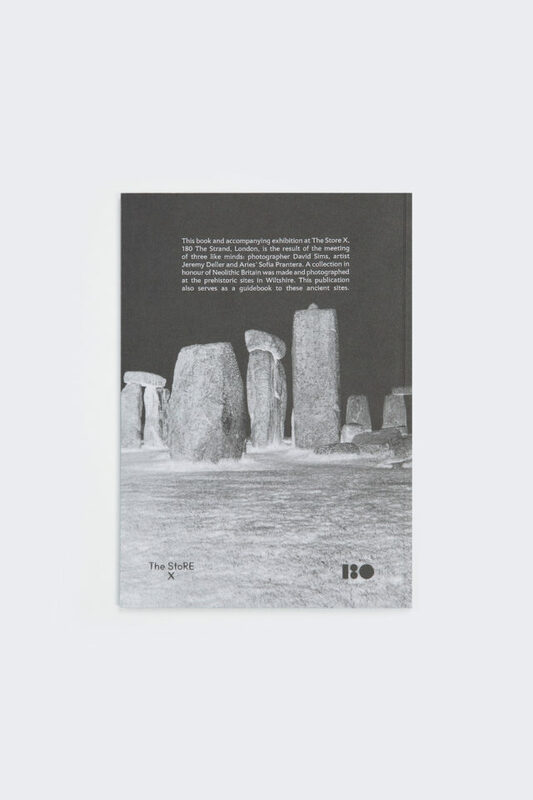 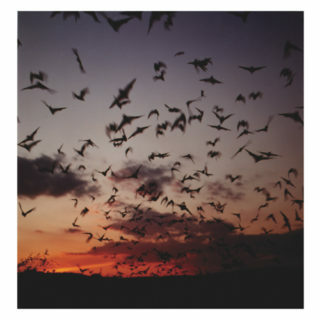 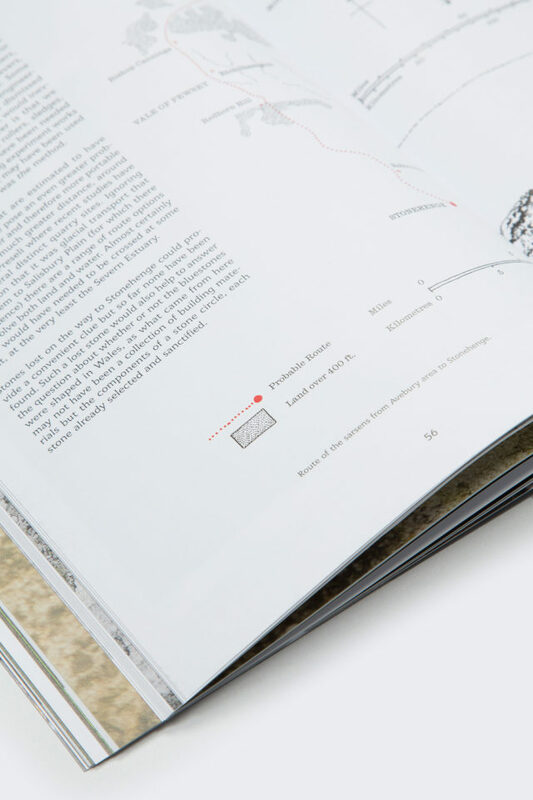 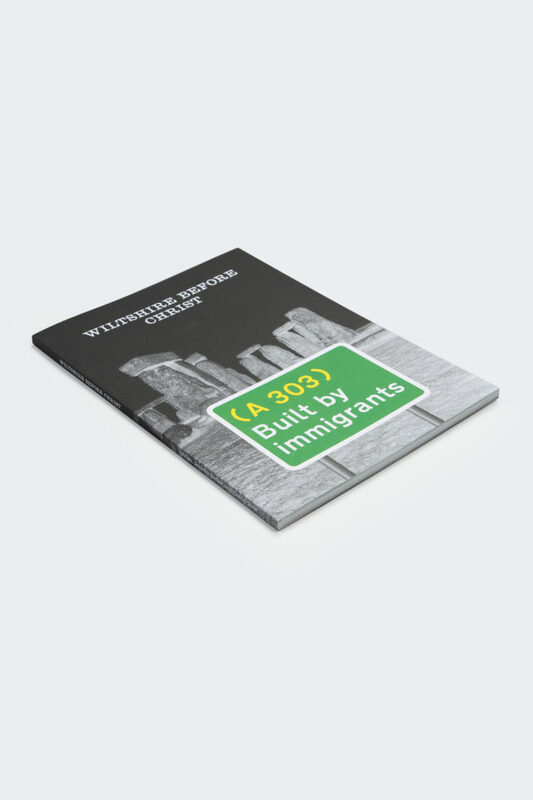 This is the accompanying book for the show which acts as a guide to the Neolithic sites of Great Britain, framed in an academic style alongside more than 50 images shot at ancient sites by David Sims and styled by Jane How. 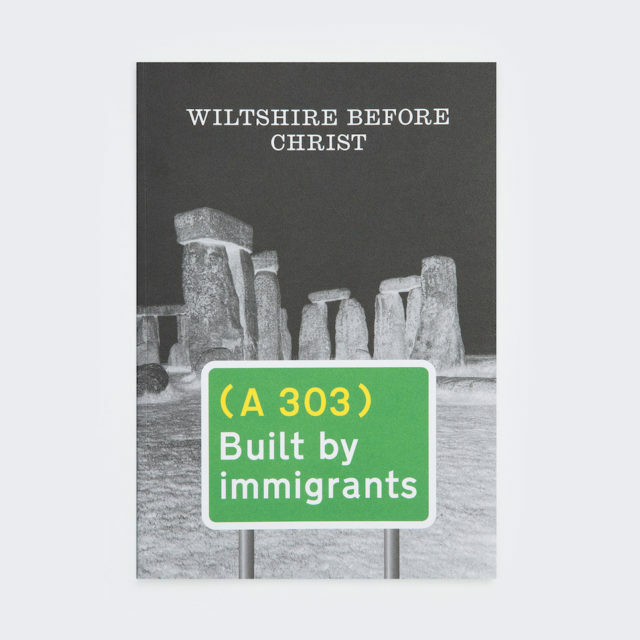 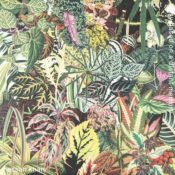 The exhibition also sees merchandise in the vision of a 30-piece capsule collection featuring unique artworks by Deller and Aries. 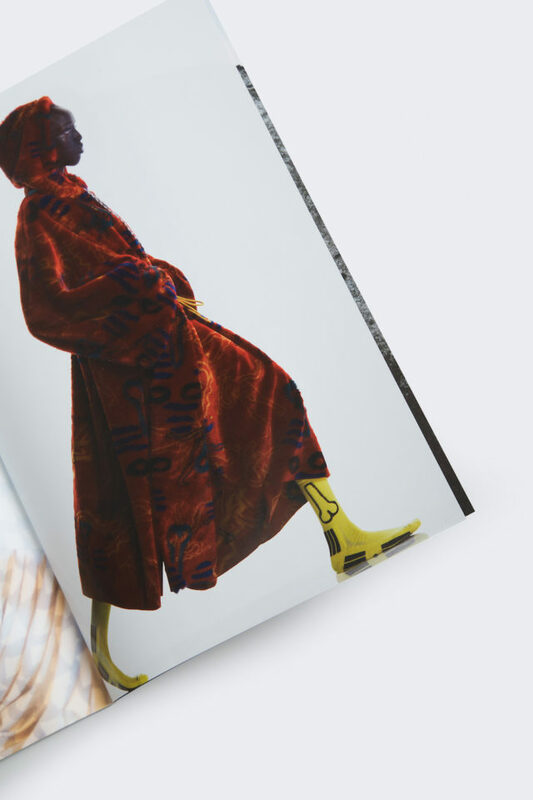 Tees, sweats, shirting, socks, blankets, stickers and other items will be available for the duration of the show at The Store X, 180 The Strand, and then exclusive to Dover Street Market worldwide from Friday 18th January.